A friend and her 2 children came for a visit yesterday afternoon. I'm at home, by myself during the days, Monday through Friday. 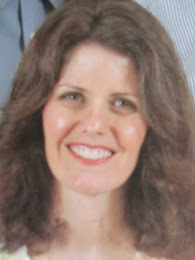 I have a few occasions to go out and visit with people, or attend Bible studies. But most of the week, I spend on my own, keeping those home fires, if not burning, at least smoldering. It's such a lovely diversion from work, to be able to sit and catch up with a friend, for a couple of hours. Needing refreshments that could be kid-worthy, as well as would suit us adults, I turned to my pantry, garden and freezer. From the freezer, I dug out some lemon bars, leftover from baking last week. From the garden I found about a teacup's worth of ripe raspberries. And in the pantry, I had dried cranberries and about a half a peck of raw sunflower seeds. I toasted some of the sunflower seeds and mixed them with dried cranberries, for a quick trail mix. For an easy-to-make beverage with a bit more "wow" than ordinary lemonade, I made raspberry lemonade. 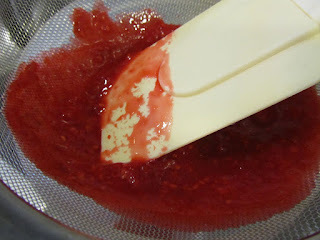 I used my stick blender to puree the raspberries. But a potato masher, or back of a serving spoon would also work. I scooped the raspberry puree into a mesh strainer set over the opening of the pitcher. 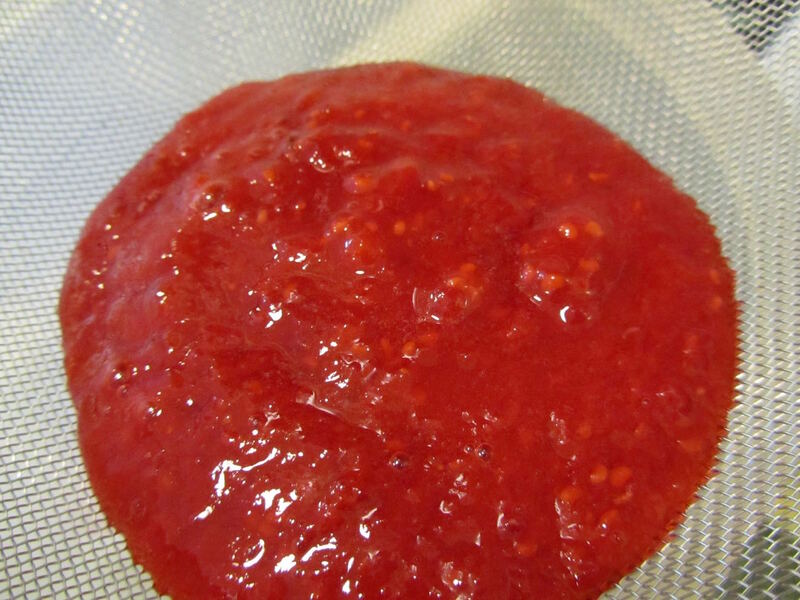 With a rubber spatula, I pressed the puree through the strainer. 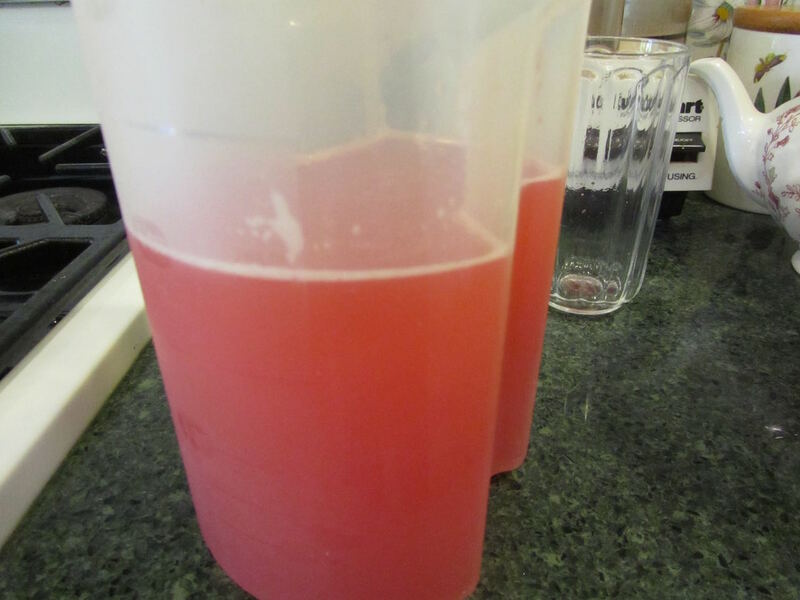 To the strained raspberry puree, I added the lemon, juice, sugar and water to the 1 quart line on the pitcher, and stirred until the sugar was dissolved. 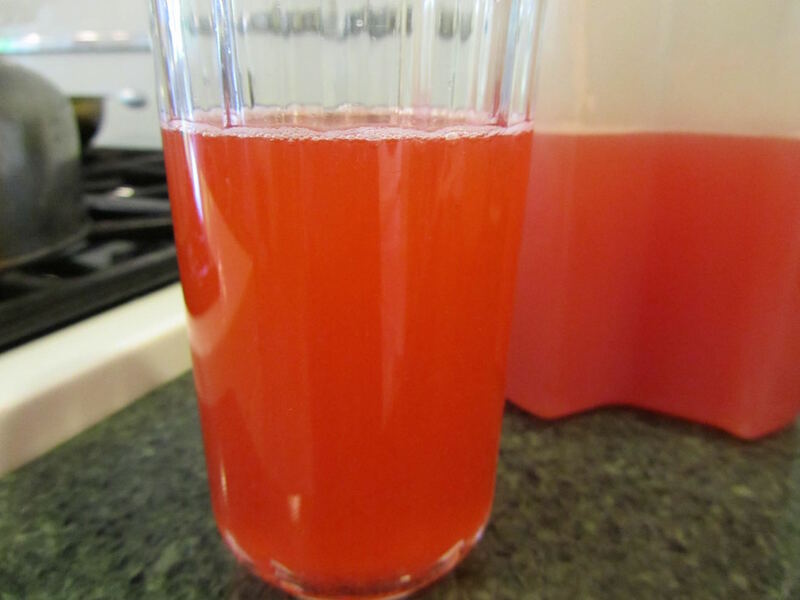 The verdict on the raspberry lemonade was not only that it was delicious, but you "could really taste the raspberry flavor - yum" -- and that came from my friend's children. Well, I'm not into raspberries (I think I'm the only person besides my sister who doesn't like them.) but that looks really good and easy to make. While I probably wouldn't make raspberry lemonade, I would try strawberry sometime. I glad that you got to enjoy a couple of hours away from your job. We all need a break sometimes. Strawberry lemonade sounds like a refreshing alternative. You're right, breaks from time to time are rejuvenating.Have a great day, live and learn! Looks delicious; I'm a fellow raspberry fan, my favorite fruit! I did something similar on Sunday for dinner. We had some mangos so I made a mango/orange juice/lemonade for our dinner beverage. Topped off with ice and some sprite we had a very good beverage. Sounds good with raspberries though I don't like the seeds floating around to get stuck in my teeth! That sounds delicious! And special enough for a Sunday dinner! With the berry lemonade, you force the puree through a strainer, so no seeds float around in your glass. Have a great day, Alice! Oh yes, the added bonus is no artificial colors, flavors or preservatives! 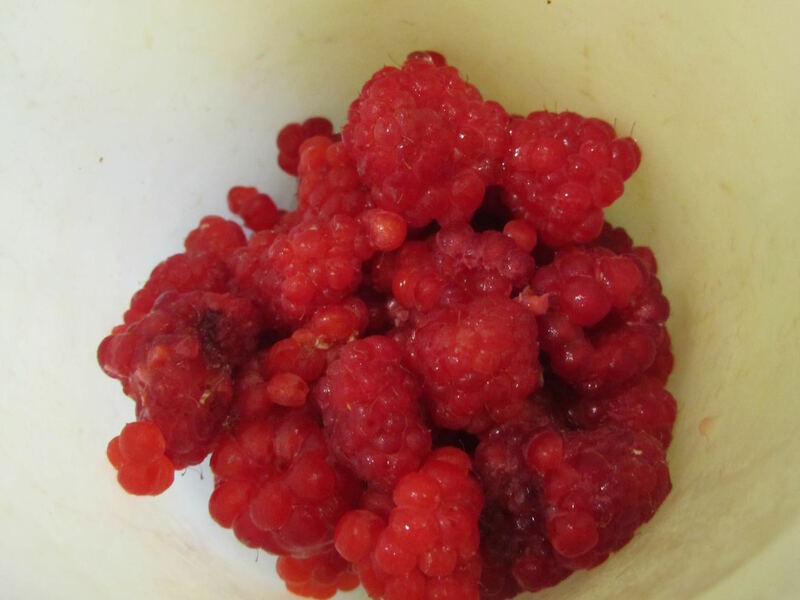 I think you lose out on beneficial enzymes from the fresh raspberries, too, with a bottled juice. Have a great day, Lynn! 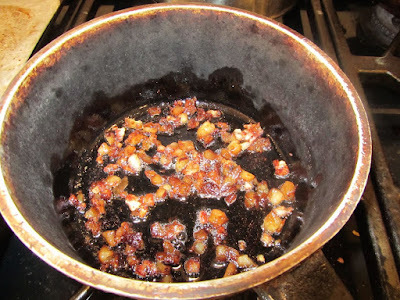 Have you ever tried this with frozen, thawed fruit? I haven't tried it with frozen fruit, but I see no reason why it wouldn't turn out as well, since what you're after is the strained puree. 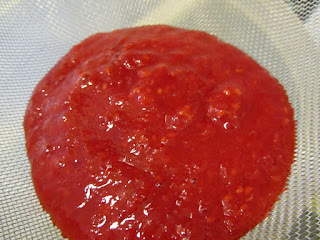 It wouldn't matter if the fruit became mushy or changed texture when thawed. If you happen to have some frozen fruit on hand, I'd give it a try. The only negative I could see is with some fruit, discoloration appears when thawing, and this could look unappetizing. But that wouldn't be the case with berries. Have a great day, Carol! I'm glad it worked, Carol! And a great way to use berries just lingering in the freezer. I find your creativity astounding! How do you come up what you come up? Seriously! Over and over again I read about how you creatively make something delicious, beautiful, etc out of such randomness. You definitely think outside the box! Wish I had a tenth of that ability! Thanks so much for your ideas! well, honestly, I see something commercial, somewhere, and I try to make my own. I've seen raspberry lemonade in stores and restaurants. So I just figured it was a no-brainer to make at home. But thank you for the compliment! I hope your grandsons left a few berries on the canes! Have a great day, Linda! It was a fun afternoon. But I realized afterwards that I need to come up with things for kids to do around my house. I got out a game, but that only lasted about 30 minutes. The lunch place with the raspberry lemonade that's near you sounds lovely! We have lots and lots of blackberries in our area. I'll be making blackberry lemonade, too this year! A friend of mine tried some strawberry-mint lemonade at her farmer's market, that sounded very refreshing.